The Grand Illusion Set has some of the best tricks we have ever made in it. In fact, many professionals use these tricks in their shows right now, yet they’re simple enough for an 7 year old to do! You get a Neck Cracker, a Psychic Deck, 4 Linking Rings, The Coin Paddle, A Magic Card Box, a Mystery Box, a Toast Prediction, a Rope Illusion, a Bite-Out Cookie, a Disappearing Streamer, The Prediction Frame, a Special Tongue gimmick and a Special Secret Gimmick! 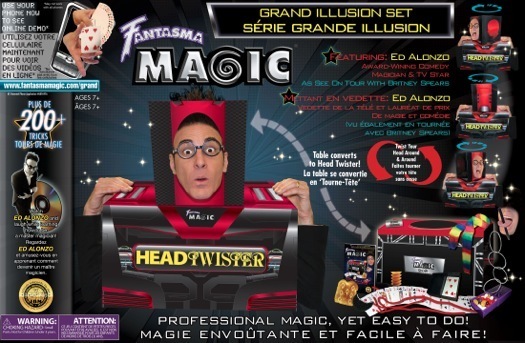 The set also comes with it’s own performance table which transforms with just a simple flip into the classic Head Twister Illusion! If you bought just five of these tricks with the DVD instructions, they would cost you $120.00. With the Grand Illusion Set you get all of it and so much more! Just as with all of the Fantasma Magic kits; this fantastic set comes with a written instructional manual as well as a DVD with many of these great tricks fully demonstrated to make learning them a breeze. 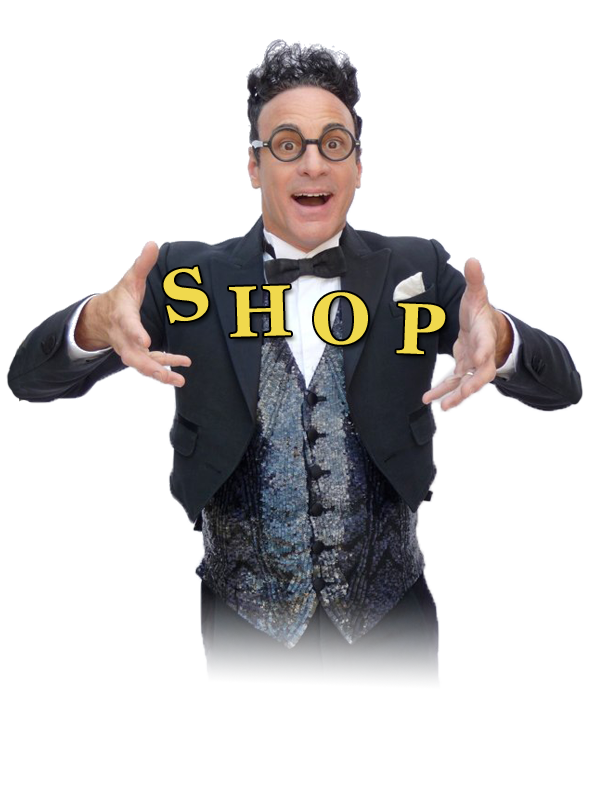 Hosted by award winning master magician (and funny man) Ed Alonzo! He was voted Magician of the Year by the Magic Castle and you may have seen them seen on TV and on tour with Brittney Spears! All Fantasma Magic kits come with the endorsement of the International Brotherhood of Magicians, the largest magic organization in the world, seal of approval. Great for ages 7+ & Teens!